What is the Esalen Institute? Since the early 1960s, Esalen has been the first and foremost center of alternative and experiential education in the United States. Located in an idyllic setting in northern California, Esalen is wedged between land and sea just off scenic Pacific Coastal Highway in Big Sur. Esalen has always drawn a steady influx of philosophers, psychologists, artists and religious thinkers. The founders of humanistic and transpersonal psychology as well as Gestalt therapy were integral to its philosophy and evolution. These early practices are still the driving force guiding the dynamics of living, learning and working in the community today. Esalen Massage is a style of bodywork that had its beginnings in the 60s, but continues to grow and evolve with the times. This practice has been informed by many rich sources and ground-breaking pioneers who found a receptive audience within the Esalen community. Some of these forms include: sensory awareness, Gestalt and meditation practice, Swedish massage and cranio-sacral work. The deeper work draws from Ida Rolf's structural integration, Dr. Milton Trager's psycho-physical integration and Moshe Feldenkrais' awareness through movement. Each practitioner brings their own talent, skill and personal experience to a session according to the circumstances presented. For me, years of Trager trainings, cranio-sacral workshops, and meditation made the transition to practicing Esalen massage almost seamless. Esalen Massage comes to me naturally and without effort because Esalen's philosophy draws heavily upon these original sources. What makes Esalen massage with Bonnie unique? The most notable difference of how I approach giving an Esalen massage is the quality of touch and the intention behind the contact. As I work, my hands heat up—they are open, soft and full as I actively listen to the language of your underlying tissue. Paying attention to the breath and working in an open, meditative state of non-judgment allows me to respond to your body's feedback. A loop of nonverbal communication takes place—from your tissue to my hands and from my hands to your tissue. There is no prescribed sequence or technique. Each session is unique. Long flowing oiled strokes help to create the feeling of being whole, connected and in harmony with all things. The pace is slow in order to soothe and relax. I blend in movement that is rhythmic and wave-like to lull and bathe your nervous system. Traction that is within your comfort level is used to lengthen, elongate and create space within your spine, limbs and joints. At times, I pause and there will be moments of stillness so that your mind can integrate and process the sensory motor information and the changes that are occurring. These are some of the key elements of how I work and what makes Esalen massage with me unique. It is this approach of listening, responding, flowing and pausing that makes the direct tangible feeling experience different. What happens in an Esalen massage session? A brief conversation takes place before the table work to address your personal needs, injuries or other information that relates to your body. Together we agree upon the focus of the session. In private, you undress and get positioned on a comfortable massage table where you rest passively underneath a drape. The session begins with long, slow, T'ai Chi-like strokes as if new landscapes of your body’s contours are being painted. As the tissue becomes warm and softens to the touch, deeper more specific contact can begin. Bound-up muscles are loosened, lengthened and unwound. Passive motion is initiated from the level of bone—such as swinging, lifting, rolling or rocking. This movement is like oiling the joints, opening and awakening the senses to the greater possibilities for range of motion through a direct experience of moving without effort. First, one side of the body is addressed and then the other. One area of the body is moved, stroked and blended into the next. The outcome is a deeper connection and a realization of being one whole integrated being. As the session comes to a close, you are given time to rest for a few minutes in private. You will be encouraged to take your time and move slowly. First, you may want to take some deep breaths and to wiggle your fingers and toes to gently awaken yourself. Then, slowly you will transition from a horizontal position to lying on your side, then to an upright sitting position and finally you will make your way to standing. The session is then complete. At this time, you are welcome to schedule another appointment if you like. Before arriving for your massage, have a snack or eat a light meal 1-2 hours prior to the scheduled time. Avoid using drugs, smoking, consuming caffeinated beverages or alcohol. Please refrain from wearing heavily scented perfumes, cosmetics, hair or skin care-products. When receiving a massage, allow the full weight of your limb or body to be lifted and supported by the practitioner. If thoughts begin to arise, simply notice that you are thinking, and then gently bring your attention back to your breath and what you are experiencing in the moment. If you feel discomfort for any reason please let your practitioner know at the time. On the contrary, if there is a move you especially like or that you feel is effective, please feel free to let your practitioner know that too. This applies to the degree of pressure being used as well. You are always welcome to ask for a deeper or a lighter touch. Open communication can be very helpful and can contribute to deepening your experience. After a massage, it may be beneficial to rest for a period of time. It is always a good practice to drink some additional water to assist the body in cleansing itself of any toxins that may have been stirred up and released into the bloodstream. Above all, be gentle with yourself immediately following your massage and avoid any unnecessary activities that may cause stress, physical or otherwise. How often does one receive Esalen massage? Some people highly value feeling good—not just physically, but in heart and spirit, too. Often it is this population that is most committed to receiving massage on a regular basis—every week, every other week or as needed. Some folks come for more specific conditions such as chronic pain or injuries. In the beginning you may need to come more frequently until your condition improves. How often you schedule an appointment is a personal choice. However, choosing to make your health a priority is a wise investment. Often people who commit to receiving massage regularly notice that the benefits are reflected in the quality of their relationships with friends and family—and also with higher efficiency and productivity in the work place. Each session is cumulative and builds upon the next. As the body integrates new sensory motor information, more possibilities for health, awareness, flexibility and freedom of movement develop. If you are a beginner to making healthy choices, massage is a great component of any plan to get in shape, find inner balance and explore how you can be the best you can be. What are the benefits of Esalen massage? •	Esalen Massage has a centering, calming effect on the mind and helps to restore emotional balance resulting in an overall sense of well-being. •	Esalen Massage assists in pain reduction and facilitates greater flexibility and range of motion. 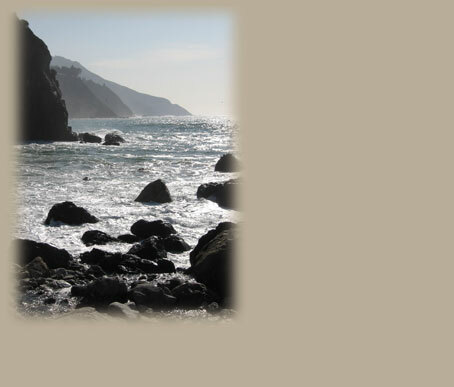 •	Esalen Massage helps to maintain the proper conditions for the body to heal itself. •	Esalen Massage stimulates lymphatic circulation which helps the body maintain its proper fluid balance, assists in providing immunity and returns lipids back to the bloodstream. •	Esalen Massage increases the oxygen carrying capacity of the blood and as a result increases metabolism. •	Esalen Massage improves muscle tone and helps to prevent or delay muscular atrophy resulting from inactivity. •	Esalen Massage supports the venous blood flow which returns deoxygenated blood back to the heart, and therefore eases the strain on the heart. •	Esalen Massage helps to disperse common edema or edema that follows injury to tendons or ligaments. •	And, last but not least, Esalen Massage feels great! *Lactic acid is a waste product that builds up in the muscles from strenuous exercise or injury and leads to muscle soreness and fatigue. The cost of a single session is $100 and may be paid by check or cash at the time services are rendered. The duration of each session is approximately 90 minutes. Please note that there is a 48-hour cancellation fee. Expect to pay in full for any sessions missed or cancelled within 48-hours prior to the scheduled time. ©2008 Bonnie Burgund. All rights reserved.